Flint & Flame are delighted to partner the newest culinary sensation – Etch. With restaurants ‘popping’ up in Brighton, at the incredible Nyetimber vineyard in Sussex and now in the trendy Shoreditch area of London, Etch is rapidly becoming the new hot spot for the discerning Foodie. 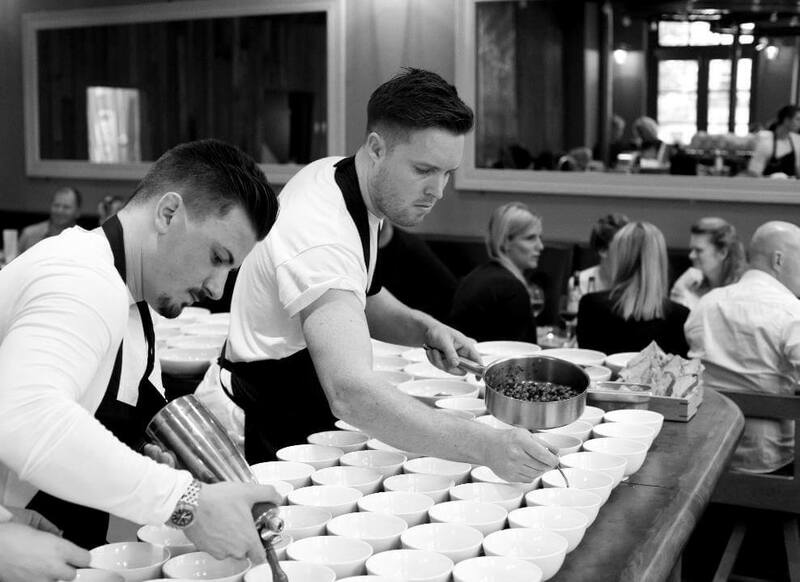 The two amazing Chefs, Masterchef Champion Steven Edwards and the irrepressible Josh Stanzi, having both impressed with their passion for food, dedication to quality and the desire to give the customer what exactly they want, make this a perfect partnership. Check out their next pop up sensation that has got everyone talking… and check out the amazing knives from Flint & Flame. Flint and Flame’s dedication to quality, design and value sit perfectly alongside the Etch dedication to imprint, define and Impress.